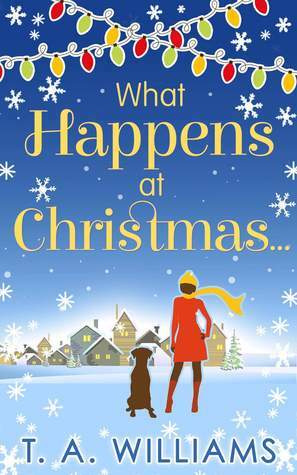 What Happens at Christmas by T.A. Williams is the first book by the author that I have read and I thoroughly enjoyed it. It is a through and through festive romance with its cheer and christmas happiness feeling. Although it also has sad overtones at places, it is light and a very enjoyable read. I loved Holly and Jack and enjoyed the development of romance between them. Being a dog lover, I loved and adored Holly's dog and could visualize him. Wanting to pet him and keep him for myself, I laughed and enjoyed following him and Holly around. The author has the flair for writing and kept me engaged throughout. All in all, What Happens at Christmas by T.A. Williams is a lovely romance with Christmas time as the setting, a cute dog, well developed characters, a small town with its close knit community and a story that had me engrossed in the story right till the end. 4 out of 5 to it and recommended to all romance lovers looking for a little festive cheer and a good romance.